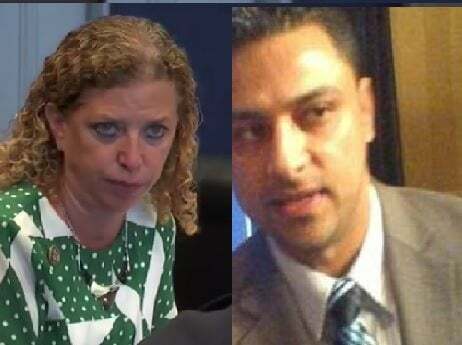 Imran Awan worked for Debbie Wasserman Schultz for thirteen years since she came into office in 2004 as a Florida representative. Imran and his two Pakistani brothers managed the IT affairs for several Democratic government officials. They were relieved of their duties in February 2017 on suspicion that they accessed specific computer networks without permission, also known as hacking. Abid, Imran, and Jamal Awan were barred from computer networks at the House of Representatives in February 2017. Imran Awan was married to two women at once, including his first cousin, as is his country’s custom. Imran Awan and his wife Alvi reportedly struck a plea deal this week. Daily Caller investigative journalist Luke Rosiak joined Lou Dobbs on Wednesday to discuss the latest in the Imran Awan Pakistani hacking scandal. In his interview Wednesday night Luke Rosiak mentioned that Attorney General Jeff Sessions is refusing to bring up charges against Wasserman Shultz’s IT expert Imran Awan. The Awan brothers’ server with much of the key evidence to the case has gone missing. In a behind-closed-door briefing to the House leadership in September 2016, the inspector general said their activity was suspicious in part because the IT workers had taken steps to conceal their identities. “Excessive logons are an indication that the server is being used for nefarious purposes and elevated the risk that individuals could be reading and/or removing information,” reads a presentation by the inspector general that was not released to the public. The investigation had uncovered Dropbox accounts installed on at least two Democratic Caucus computers used by the IT workers, against House IT policy. The two accounts associated with the Dropbox accounts on the computers each contained thousands of files. “We have not been permitted to view content of the files on these workstations. However, based on the file names, some of the information is likely sensitive,” the presentation says. The inspector general also warned House leadership that the accounts could have been used to exfiltrate information. Following a second briefing in late September 2016, in which the House inspector warned the House leadership of “continuing unauthorized access,” the investigation was moved to the Capitol Police in October. It was not until months later, on Feb. 2, 2017, that the House sergeant at arms banned the IT workers from the House network. The Democratic Caucus server, which had been identified by the inspector general as ground zero of the suspicious activity, had disappeared at that time. Three senior government officials with knowledge of the situation told the Daily Caller News Foundation last year that it had been physically stolen.